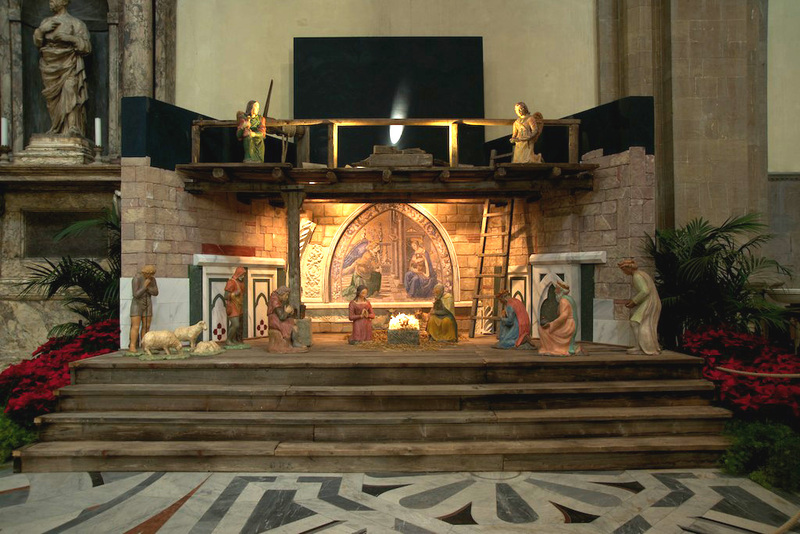 Traditionally, in Italy, the holiday of the Immaculate Conception on Dec. 8th marked the official start of the Christmas season. Today, as is the custom in many other nations, the date has been pushed back and by late November the countdown to Christmas usually begins. Street lights and decorations go up, stores windows display their festive regalia while piping in Christmas carols and offering special promotions (among the foreign customs which have now been adopted here to promote the commercial side of the holidays). However, one of the nicest traditions that has taken hold over the years are the local holiday markets and fairs. Originally a custom in northern Europe, Christmas markets are now an important part of Italy’s holiday tradition. 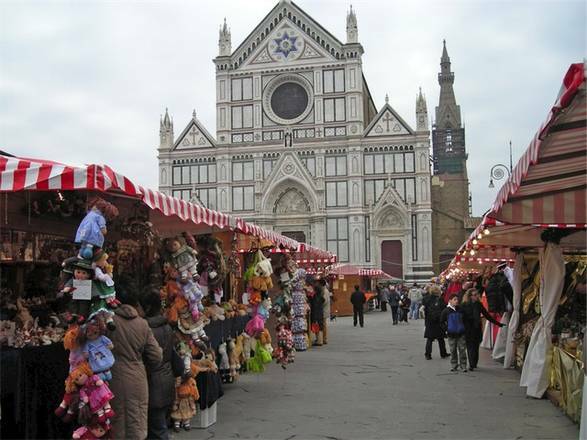 Throughout Tuscany, both in the larger cities and the small towns, this is the season to experience the festive atmosphere of these charming markets. Beautiful handicrafts and wonderful food specialties fill the stands that line the major town squares. 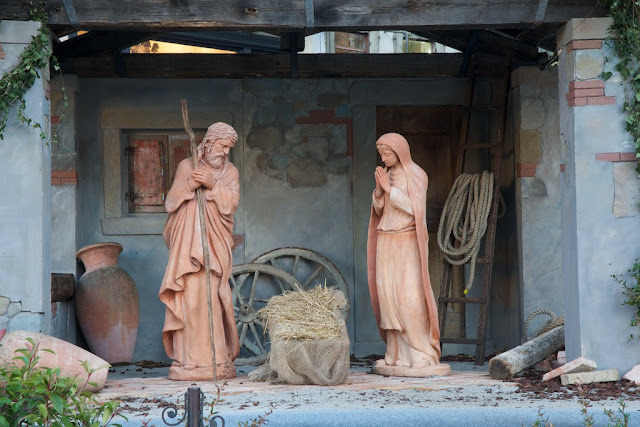 The churches display beautiful nativity crèches – with handmade figurines that attest to the ancient artisan tradition which has made Italy famous around the world. 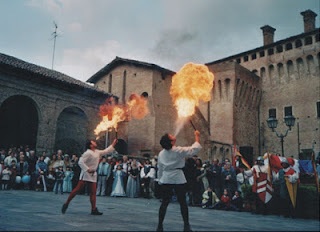 Some towns hold medieval markets which evoke the historic origins of this customary celebration – with jugglers and street performers dressed in period costumes to create the proper setting. So, thankfully, there still is a way to enjoy the holiday season in a more traditional fashion. Clearly one can purchase gifts and decorations, but the nice thing is that there are unique products to choose from which defy the current trend of global commercialization. It is the perfect chance to sample some of the delicious seasonal foods that can only be found at this time of year. 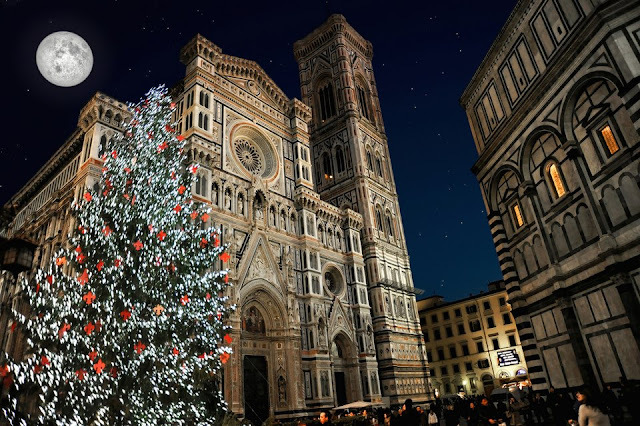 And, of course, all of this takes place in some of Tuscany’s most beautiful cities and towns, which become even more magical when decked out in their holiday best. 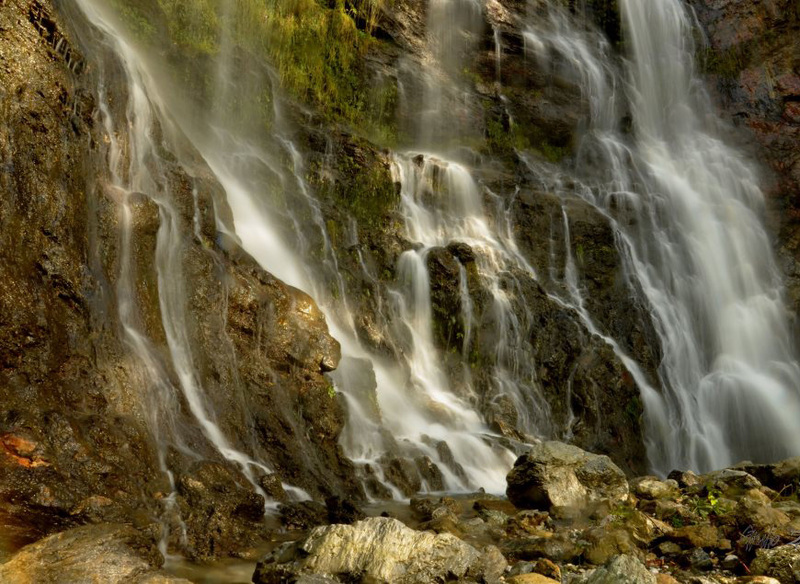 There are many locations to choose from, and most locals and visitors often try to see more than one during the season. Florence pays homage to the Germanic origins of the Christmas market by hosting the German Christmas Market in Piazza Santa Croce from Nov. 28 through Dec. 16. Vendors come from abroad to share their countries’ typical crafts and gastronomic specialties in one of the city’s most beautiful piazzas. 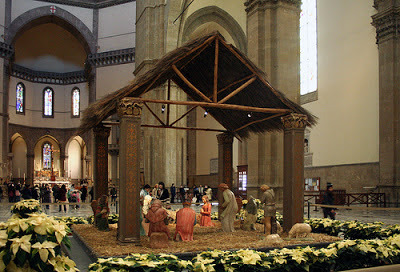 Many churches throughout the city have nativity scenes that are worth a visit, but DO NOT miss the stunning crèches displayed at the cathedral of Santa Maria del Fiore, best known as the Duomo, from Dec. 8th. The exquisite terracotta figures in this majestic setting are truly impressive. 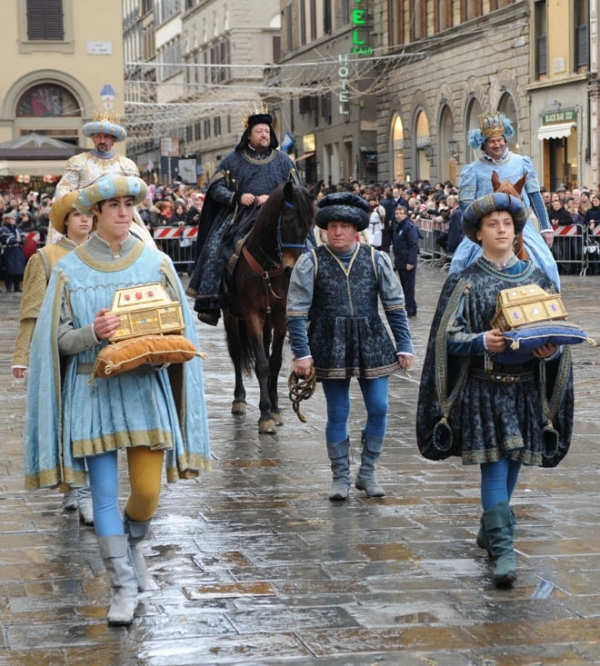 (the procession of the three kings), held on Jan. 6th. 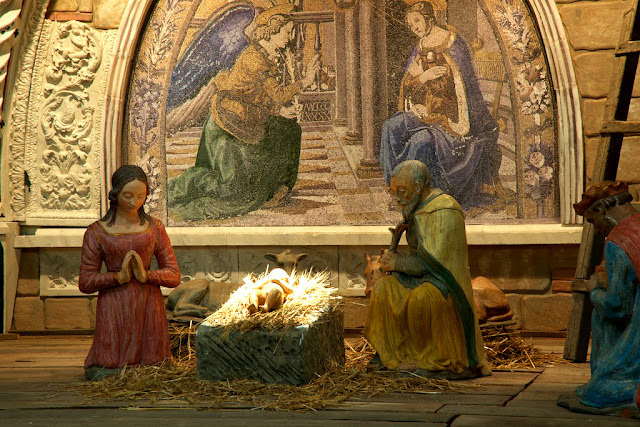 In the Mugello area there are Christmas markets on the weekends throughout the month of December: Marradi, Barberino di Mugello, Dicomano and Palazzuolo sul Senio – where there is also an event called the 1000 Cribs of Pallazuolo which is obviously dedicated to the most beautiful nativity scenes. Arezzo and the Casentino area will also host events throughout the holiday season. 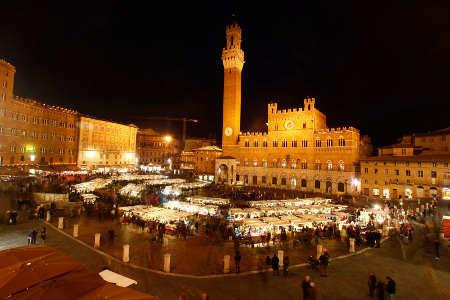 Siena’s Medieval Market in Piazza del Campo will be held on December 15th and 16th. 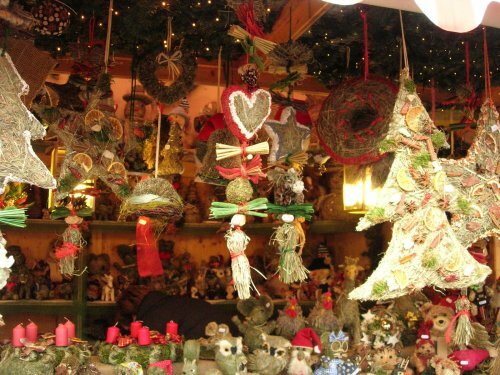 Although it is not a traditional Christmas market, there will be over 160 stands with typical regional foods and artisan crafts. In addition, the historic atmosphere will be re-enacted by street performers and artists. There will also be guided tours available to discover the city as it was in the Middle Ages. 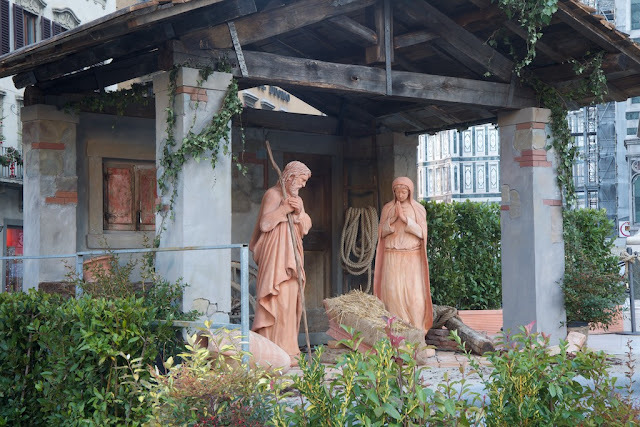 In the historic center of Casole d’Elsa a there will be a live re-enactment of the nativity with over 250 participants on Dec. 26, 29 and 30 and on Sunday Jan. 6. 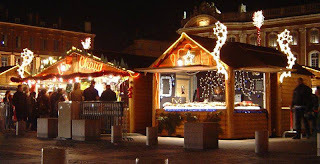 If you are in the area of Pisa, the city’s Christmas market runs from Nov. 24 to Dec. 24, with over 55 exhibitors. 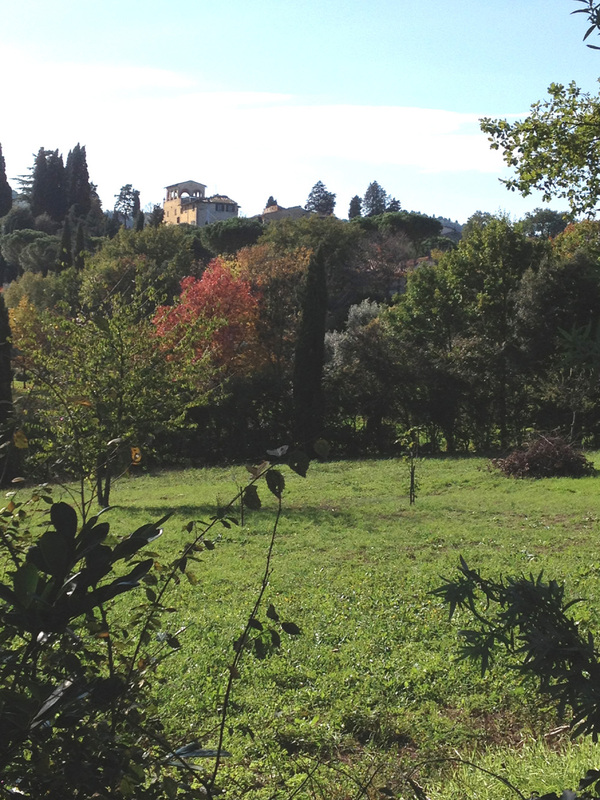 San Miniato, the town of the White Truffle, has one of Tuscany’s most beautiful crèches from Dec. 7 to Jan. 3rd in the church of San Giovanni Battista di Cigoli. The city of Lucca also has a medieval Christmas market from Dec. 6-9. Another great reason to visit Tuscany next September is to see the 2013 UCI World Road Race Championships. This is the first time Tuscany will host this prestigious cycling event. 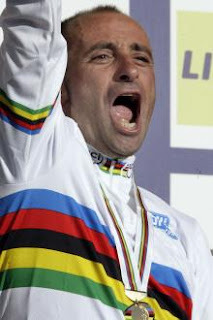 From September 22-29 the cities of Florence (and Fiesole), Lucca, Montecatini and Pistoia (and their local countryside) will be the race track to decide who will wear the world champion’s rainbow jersey for 2013. Enthusiasm is very high here, since Tuscany is notoriously a cycling heartland and home to many of the sport's greatest champions, like Gino Bartali, Fiorenzo Magni, Mario Cipollini and Paolo Bettini. Great care has been taken to prepare for the race, which will be Florence’s biggest sporting event ever. 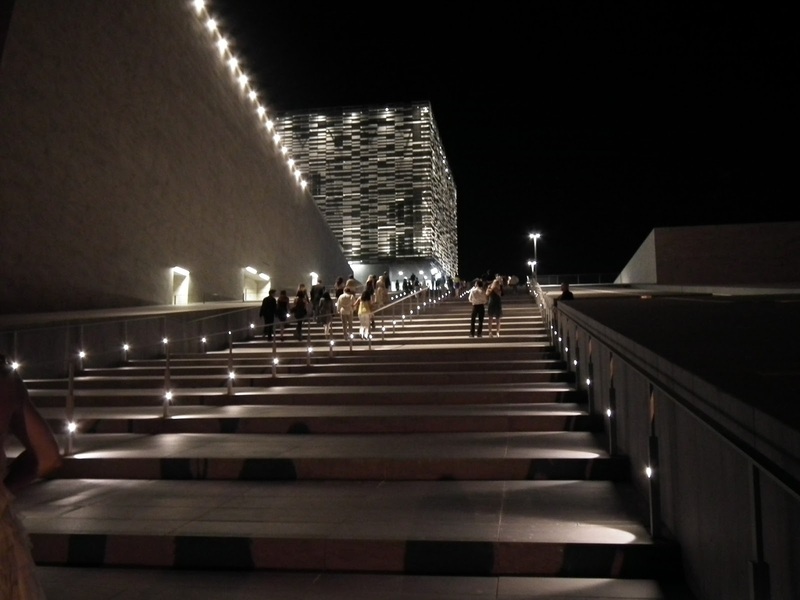 Local authorities are also hopeful to lock in participation as a stage for both the 2013 Giro d’Italia and the Tour de France in 2014, giving them the prestigious honor of hosting a grand slam of events – never before achieved by any other city. The various routes will pass through the cities as well as the countryside, and there will be flat courses and hilly circuits that promise to challenge even the best racers – in fact the men’s elite race is predicted to be the toughest since 1980, at the French championships in Sallanches. 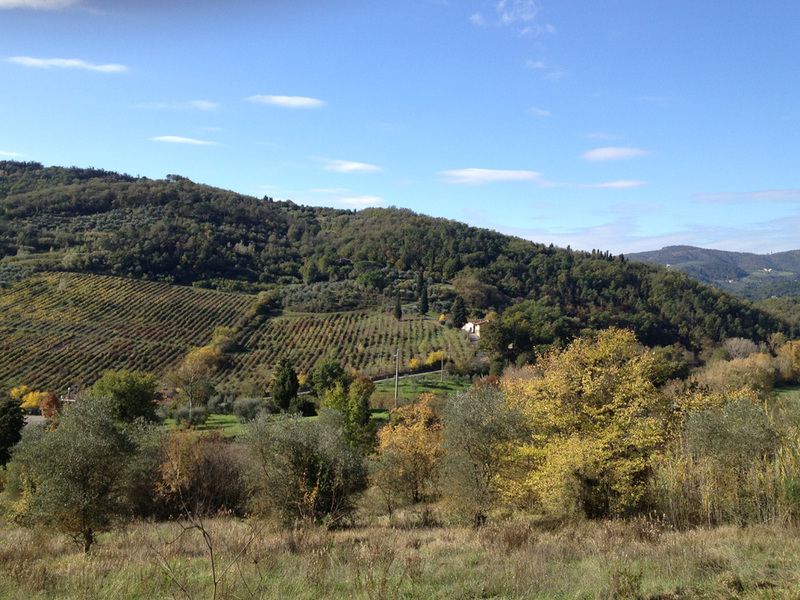 But after all, this is Tuscany and amazing hills are its trademark! Record attendance is expected for the event and the region is already organizing to offer its best hospitality. So think about coming to cheer on the cycling champions while enjoying the beautiful climate and scenery of September. It really is a unique opportunity. 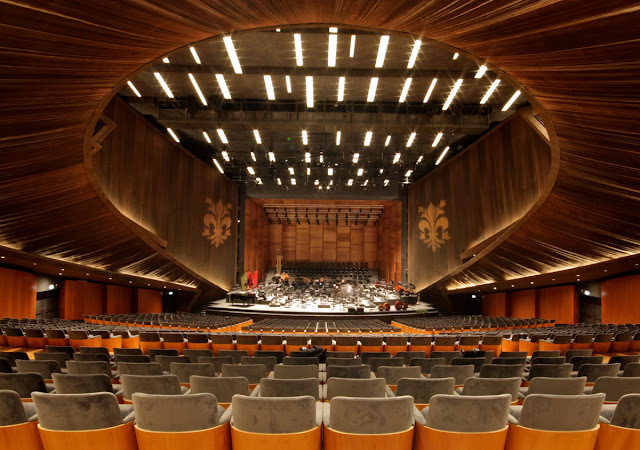 After years of talking about the need to provide Florence, and its renowned opera festival Maggio Musicale Fiorentino, with a modern opera house, last year the dream was (partially) realized. 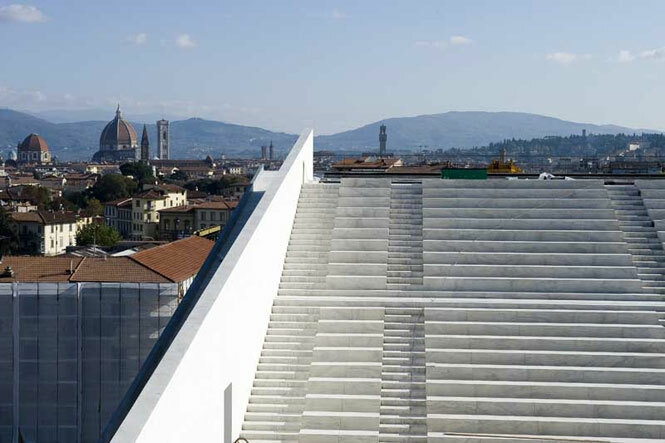 A 255 million Euro public investment was planned to finance the ambitious project of the New Florence Opera House which represents an avant-garde music center for all of Europe. 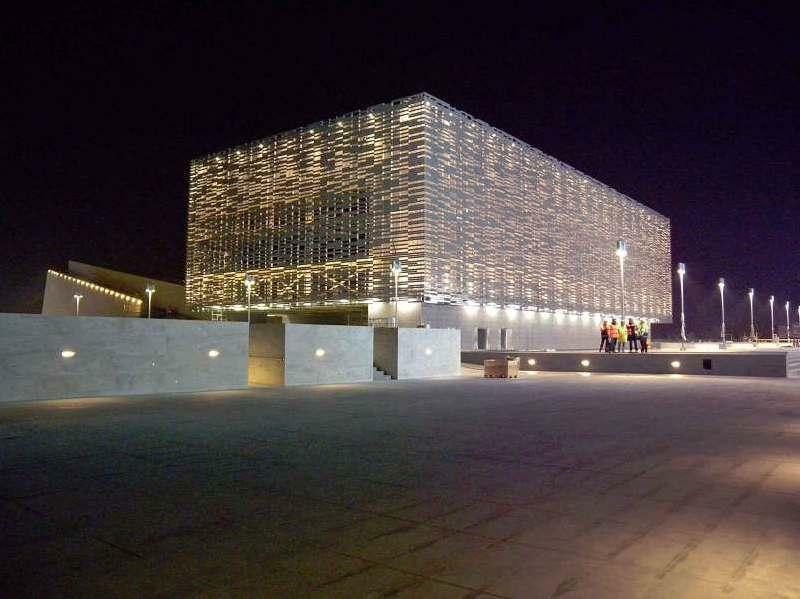 After having received a 150 million Euro grant for the 150th anniversary of the Italian Republic, which was in 2011, the Opera House was able to have its inauguration in honor of this celebration last December in the main auditorium. However, as is almost always the case in Italy (with government funding especially), the money has run out and, without the missing 80 million, completion of the complex is still a mirage. Unfortunately, the current economic situation doesn’t bode well for a quick solution to the problem. 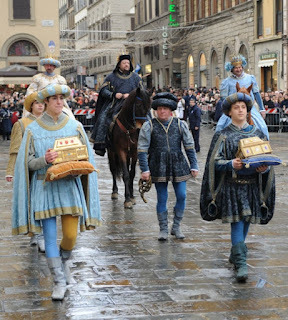 So, for now, Florentines and the world must make the most of the sporadic performances that are being offered in a more subdued form. Both from an architectural and artistic perspective, this new theater is state of the art. The challenge of successfully incorporating a very modern structure into the fabric of a Renaissance city like Florence is always great – especially when considering that many Florentines have the tendency to resist change. However, the final result seems to have received general consensus. The abstract building, designed by Paolo Desideri of the Studio ABDR in Rome, is impressive. The location is strategic, between the Leopolda Station and the Cascine Park, offering spectacular views of the historic city center from the open-air amphitheater on the roof. 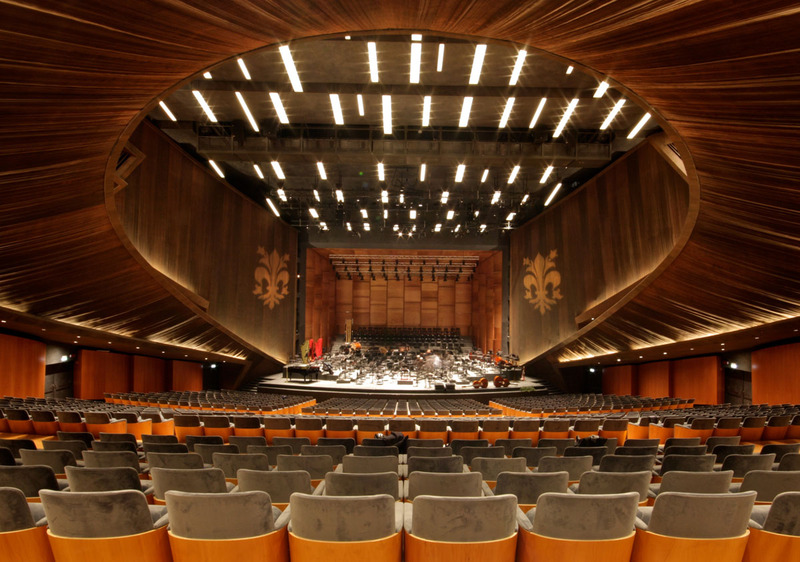 From an acoustic standpoint, it is considered to be one of the best in Europe. 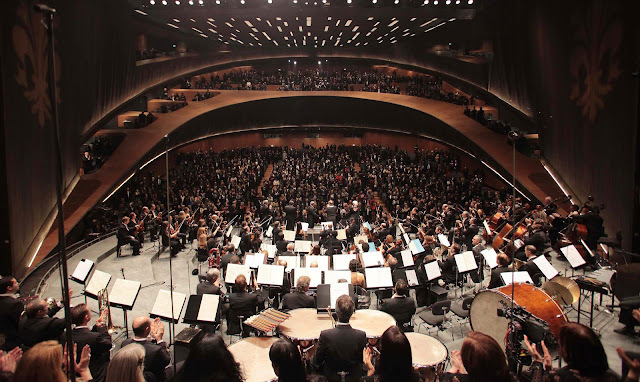 Another valuable asset is the opera house’s illustrious general director, Zubin Mehta, who has followed the project every step of the way, contributing his valuable talent and experience towards the realization of the main auditorium, to ensure maximum comfort and quality. Under the circumstances, we will have to make due with what there is, so tomorrow’s opening of Puccini’s Turandot shouldn’t be missed. Performances will continue through Dec. 5th. 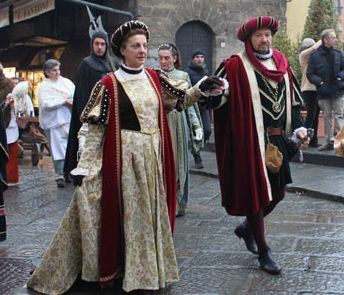 The complete schedule can be found on the Maggio Fiorentino’s website. 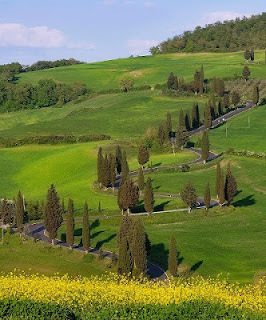 Many people around the world associate the word “Tuscany” with the typical Chianti landscape of rolling hills, vineyards, olive groves and of course cypress trees. Not everyone is aware that Tuscany is a region of Italy covering an area of 23,000 square kilometers that offers many very diverse landscapes, and it is precisely this variety that makes it so incredible. The entire western border of the region is coastline, bathed by the Tyrrhenian Sea, and there are also seven beautiful islands that belong to the Tuscan Archipelago. 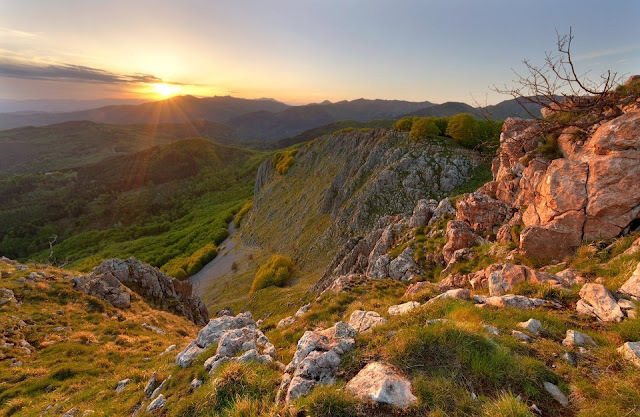 Though hills make up nearly two-thirds of the region, mountain ranges account for 25% of its territory, with the Apennines, which run through the center of the region, being the highest. The remaining areas are plains and river valleys. All of this geographical diverseness results in many unique and extraordinary landscapes. 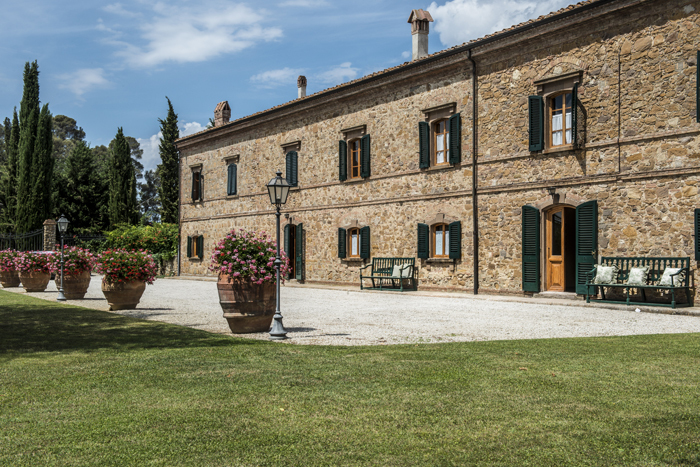 I will try to take you on a virtual tour of some of these incredible places – one at a time – to help you discover all the nuances of this famous “triangle” of Italy called Tuscany. 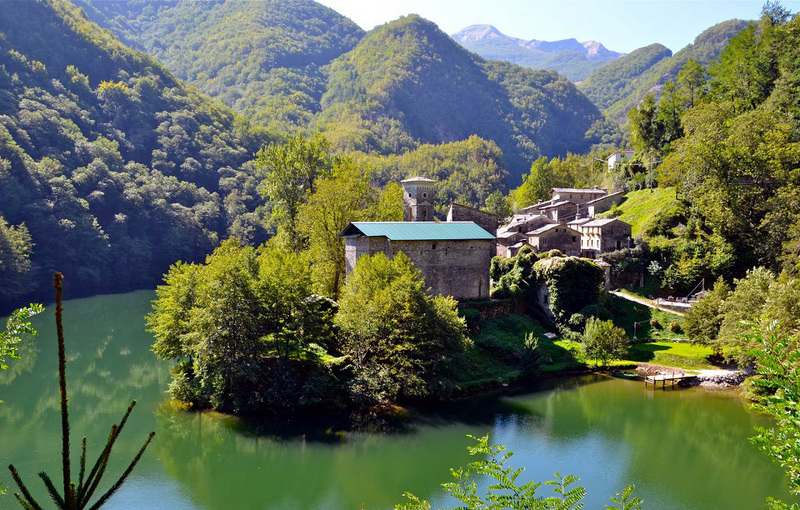 Let’s start in a lesser-known location, the amazing mountainous region in the northwest that belongs to the province of Lucca, called Garfagnana. This beautiful area is situated between the Apuan Alps and the Apennines in the upper Serchio River valley, which makes the scenery particularly striking as it is incredibly verdant with an abundance of forests. 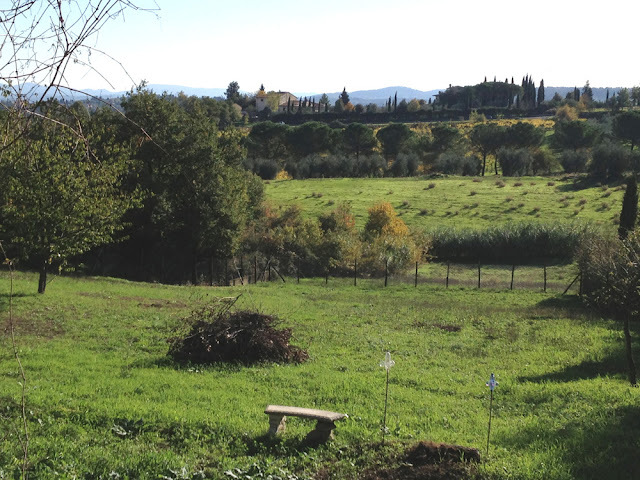 As a result, it looks almost nothing like the “typical” image of Tuscany that most people have. 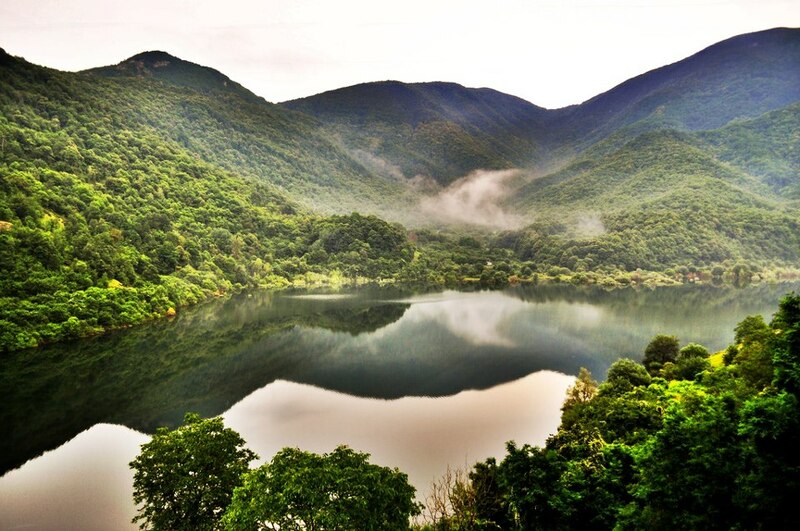 Famous for its lakes, grottos and natural park preserves, this area is a nature lover’s paradise. 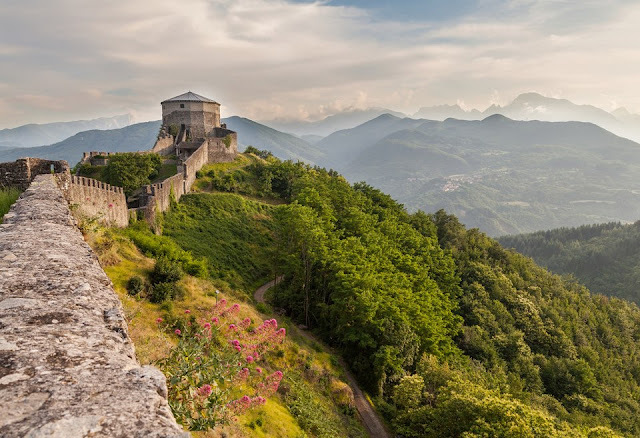 However, it is also known for its history, boasting impressive fortresses, castles and charming hamlets known for the hospitality of their residents and the delicious cuisine based on local ingredients. 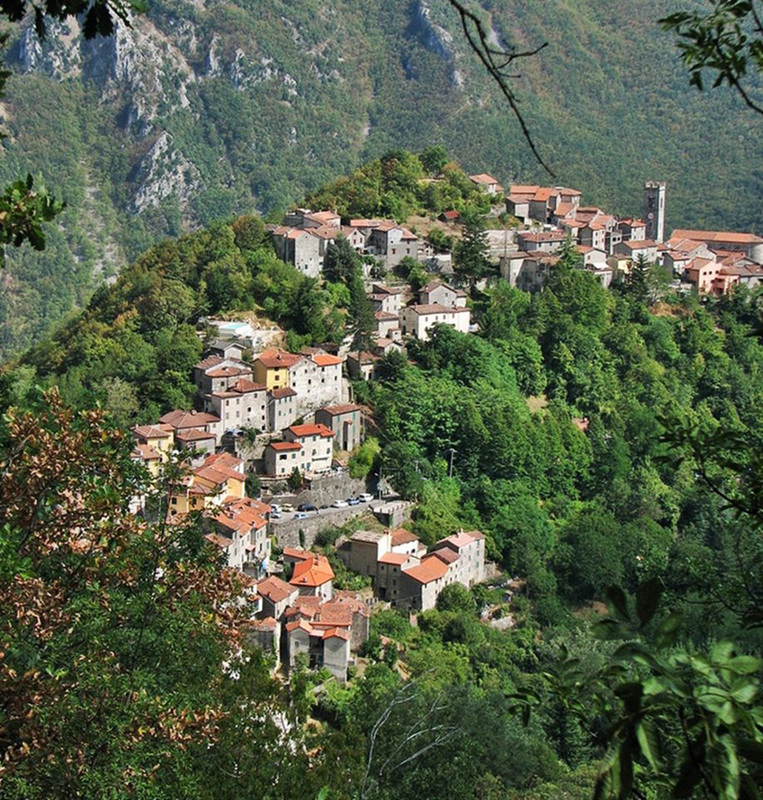 Medieval villages like Barga and Castelnuovo di Garfagnana, the area’s capital, are definitely worth a visit. Also not to be missed is Bagni di Lucca, a spa town famous for its thermal springs, often referred to as “the Italian Switzerland”. 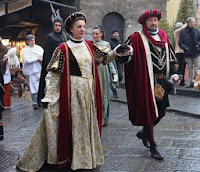 As in the rest of Tuscany, there are plenty of seasonal events, fairs, and tourist attractions in the area (although they remain rather low-key). 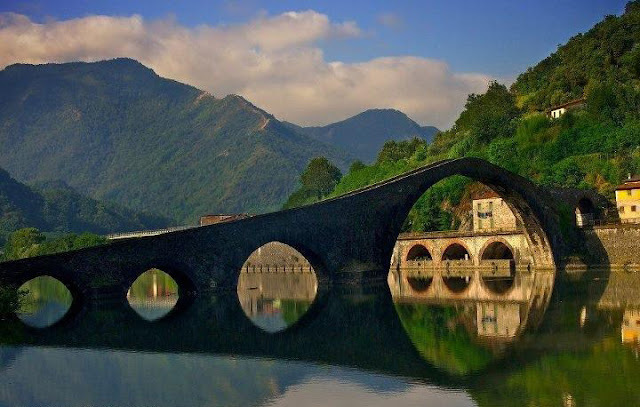 One of the strong points of Garfagnana is that it has yet to be discovered by the majority of travelers, so it offers the opportunity to sample a more authentic taste of Tuscan life. The proximity of Lucca, Pisa and the coastal area of Versilia (famous for its beach resorts Viareggio and Forte dei Marmi) has brought attention to this stunning natural paradise. Also, Tuscany’s best ski resorts are under an hour away, making Garfagnana a draw in every season. Visitors can easily enjoy the more mundane lifestyle of the beach or the slopes, as well as the historic charm of the cities and also escape to experience the natural unspoiled beauty of this extraordinary mountain valley. Thanks to Paradiso...Toscana for the beautiful photos. 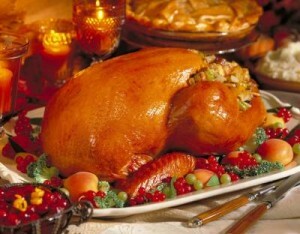 This week Americans celebrate Thanksgiving – the holiday that truly belongs to everyone. As an American I have maintained this wonderful tradition here in Italy, sharing its meaning and its delicious food with my acquired family and closest friends. It is a day dedicated to expressing gratitude for the things we have, and taking pleasure in being with our loved ones. Of course, gathering around a plentiful table to enjoy a roasted turkey with all the trimmings is an essential part of the ritual. 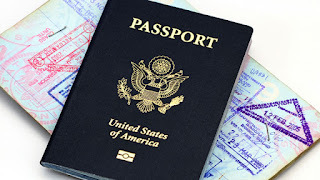 In the US many people must travel to reunite with their families, all too often scattered around the country. Perhaps this is part of the reason that there has been a growing trend to combine the Thanksgiving celebration with a family vacation. In essence, it is an ideal occasion to meet somewhere beautiful to enjoy the holiday. Tuscany offers a great setting for such a get together. 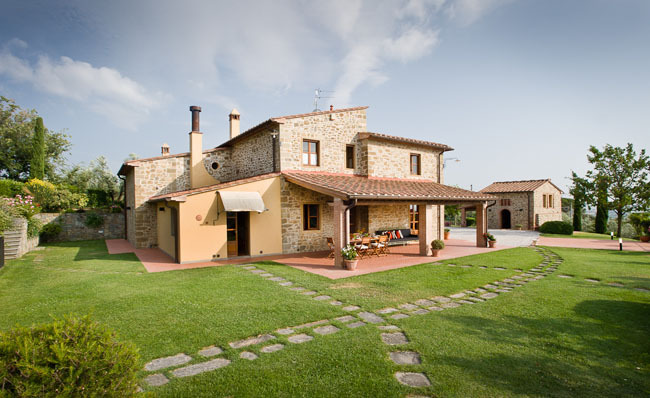 A beautiful villa in the countryside can serve as a fabulous home away from home. Dinner can be prepared in a spacious, fully-equipped kitchen – or a chef can come in to do the honors. Elegant dining rooms can accommodate a large number of guests in grand style, while providing a unique atmosphere. The group can also participate in other activities and excursions to complete the vacation and spend quality time together. 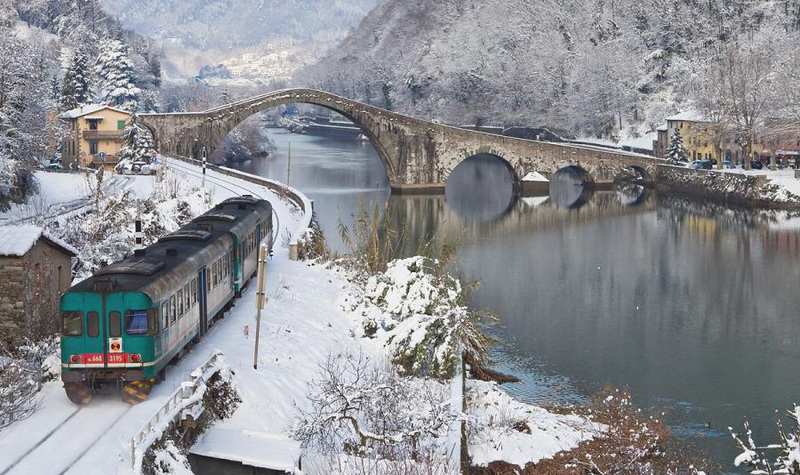 November is still a great month to visit this lovely region. The autumn colors and numerous local festivals make it very worthwhile. 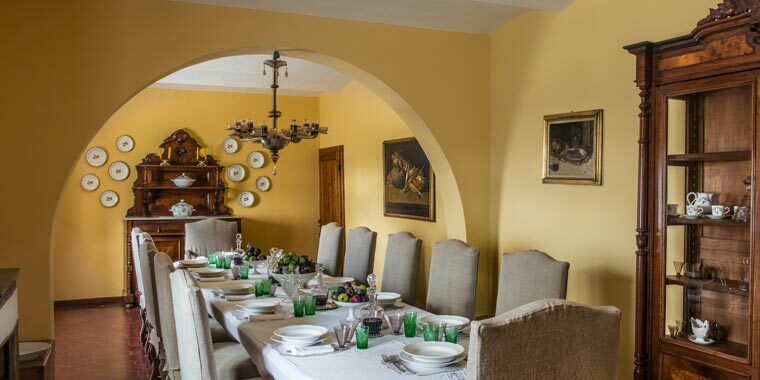 Airfares are lower than at other times of the year, as are the villa rental costs. It’s no wonder that we have seen a growing number of reservations by Americans for this very special holiday. In response, local stores have started to carry traditional ingredients and Italian chefs have mastered the art of preparing a heavenly stuffed turkey – with all the proper trimmings! Visitors and even expats (who would prefer not to cook) can now find plenty of restaurants that offer a great Thanksgiving dinner. 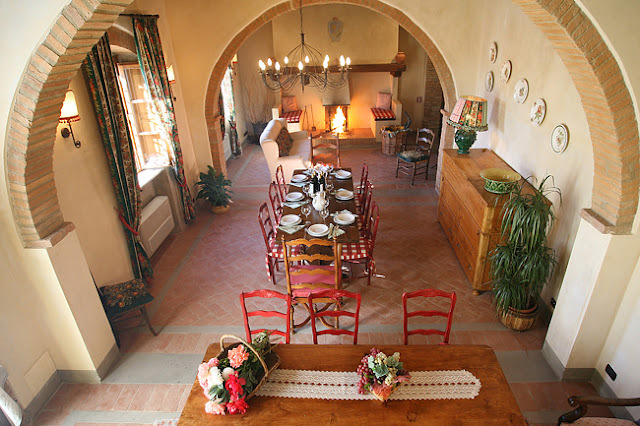 So, if you have ever thought about going away to celebrate Thanksgiving – keep Tuscany in mind. You might be one of those people who does it once – and then keeps coming back year after year! 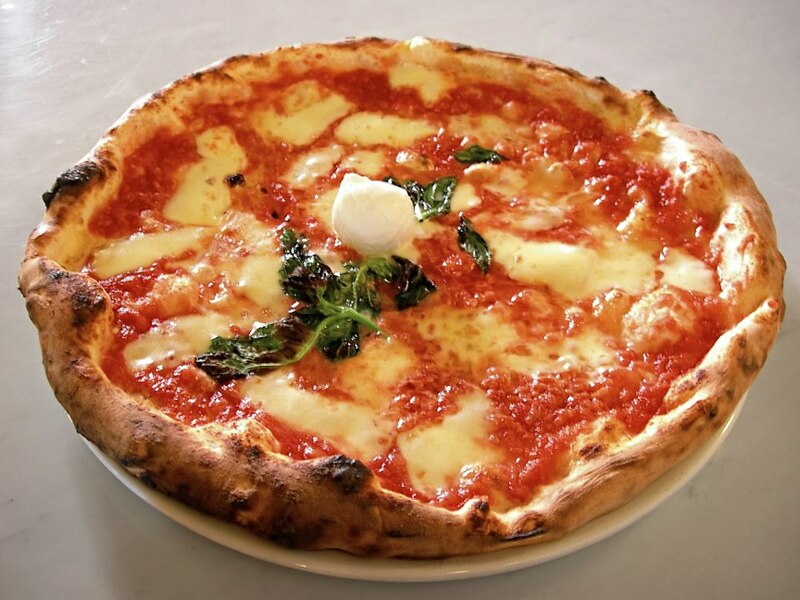 If you come to Italy and order pizza you will find atop every menu the words “Pizza Margherita”. This traditional variety, with tomato sauce, mozzarella and basil, remains the most popular – despite a myriad of variations that are available today. The story behind this classic pizza has historic origins. 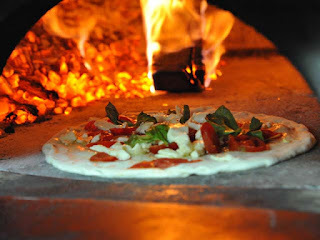 The name “pizza” derives from the Latin word “pinsa” which means to flatten or crush, and its existence as an unleavened flat bread dates back nearly 3,000 years. Over the centuries this staple bread evolved, first by adding yeast and then by including different types of condiments. In Italy, two important historic events led to the use of mozzarella and tomato – the arrival of the Longobards in central and southern Italy who brought with them Buffalos, whose milk would be used to make this famous cheese, and the importation of tomatoes from Peru after the discovery of the New World. These two ingredients grew to be staples in the culinary tradition of Naples and during the 18th century, pizza as we know it today became a local specialty. Baked in wood burning ovens, it was often sold on the streets and delivered directly to people’s homes. (So much for thinking we invented something new with “take out” and home delivery!) By the late 1700s, these bakeries began offering table service and soon the pizzeria was born. In 1889, Raffaele Esposito was considered the best pizzaiolo (pizza maker) in Naples. He was invited to the court at the Reggia di Capodimonte where King Umberto I and his wife Queen Margherita were staying as guests of the King of Naples, Ferdinando di Borbone. The master chef prepared three varieties of his acclaimed pizza: one with lard, cheese and basil; another with tomato sauce, garlic, olive oil and oregano; and the third with tomato sauce, mozzarella and basil (conceived also in honor of the tricolor flag). The Queen so enjoyed this third variety that she later sent a letter to Esposito thanking him for introducing her to such a delicacy. As a sign of gratitude for this high honor, the pizzaiolo dedicated his specialty to the Queen by calling it Pizza Margherita. After more than 20 years, I still love living in Tuscany! There are so many reasons for this affirmation, but this morning one came to mind that sometimes I tend to overlook or take for granted. I set off for a brisk walk (inspired by the glorious day – after all the rain) and as I was marching along intently, I suddenly NOTICED how beautiful my surroundings were. I was only minutes from my house, and yet the view of the countryside made me slow down to admire it. Fortunately I had brought my iphone for musical company, so I decided to snap a few pictures of the landscape which has been the backdrop of all my hikes over the years – and yet I had never photographed. How many times had I passed there before, without having thought to make a permanent record of it? You take pictures of the new places you visit, important events, people you love, but not really of your neighborhood while you are out jogging or walking. The truth is, I don’t live in one of the most famous areas of Tuscany. Instead, it is a small quiet town, still relatively new to tourism. 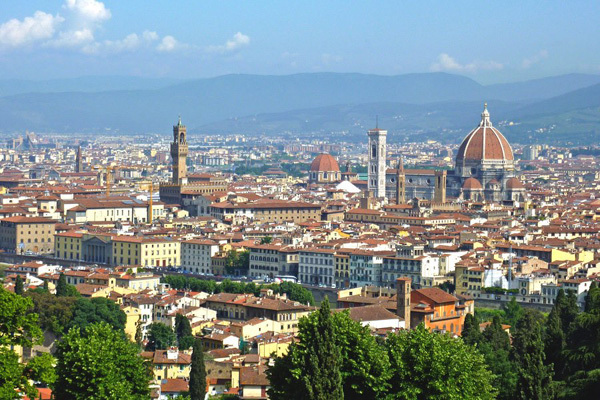 Yet, perhaps, the fact that there are two historic Medici villas close by should tell us something – since already centuries ago the illustrious Florentine family had recognized the beauty of the area, as well as its convenient proximity to Florence, making it one of their favorite holiday destinations. Often, our hectic everyday lives distract us from seeing things that are right next to us and sometimes it takes an “epiphany” to make us notice them. Well, today I had my little epiphany. I took the time (already a feat) to enjoy my walk, to savor the beauty of nature and my good fortune to be immersed in it. It was a gorgeous November day in a stunning setting, just outside my own front door - and it deserved to be appreciated. 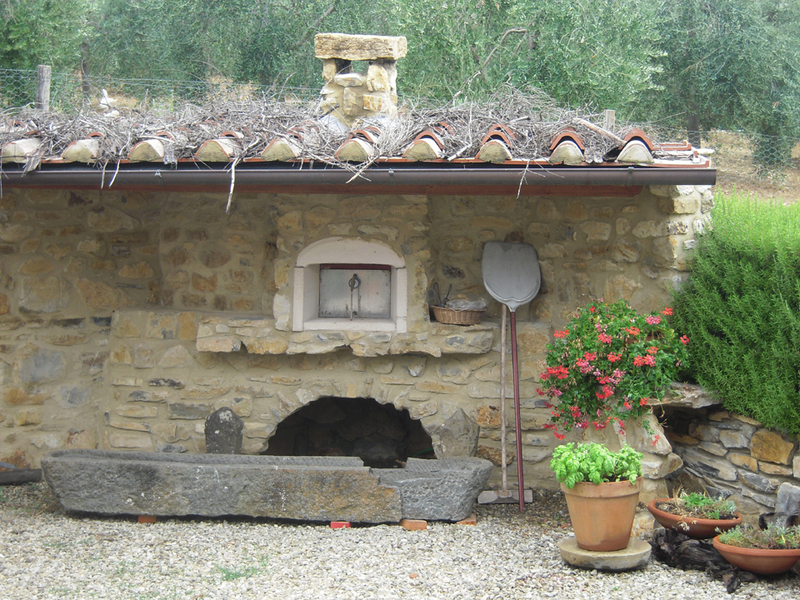 Rooted in its history of hunting and curing, traditional Tuscan cuisine is very meat-oriented. The most famous local dishes almost always include some form of animal by-products. For those who like meat and cheese, Tuscan food is heaven but for those who are vegetarians or vegans it must certainly seem like a major turn off. Yet, it is worth mentioning that Tuscany’s farm-based culinary tradition does include beans, many types of cereals, like spelt and barley, as well as a great variety of vegetables. 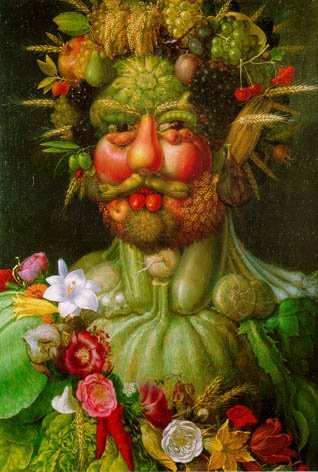 So even in the past, finding a way to eat without meat was quite possible – in fact peasants certainly didn’t have the “luxury” of eating meat very often. 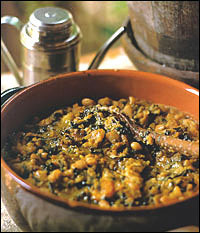 One of the most well-known Tuscan dishes is called “ribollita” which literally means re-boiled. This is basically a vegetable soup which is re-cooked with leftover bread. The concept is reminiscent of the Anglo-Saxon tradition of stuffing (also conceived to make use of stale bread). The result is a hearty and tasty winter dish that can satisfy both vegetarians and meat eaters. 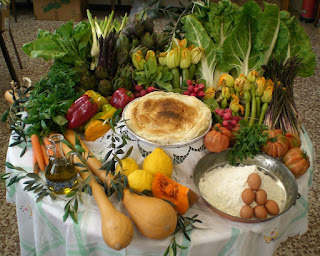 Other types of soups are plentiful in typical Tuscan cooking, although not all are really vegetarian. However, by making a few adjustments to traditional recipes this problem can be resolved. In fact, today there is a new trend on the rise to include official vegetarian offerings on restaurant menus and in local gourmet shops. 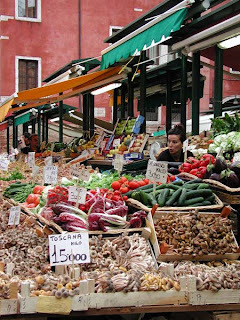 Whether this shift is based on commercial interests, an increase in health awareness or a growing number of vegetarians remains debatable, but at least the result is that now vegetarians who live in or visit Tuscany can find a wider selection of foods to enjoy, putting them almost on a par with their meat-eating counterparts. 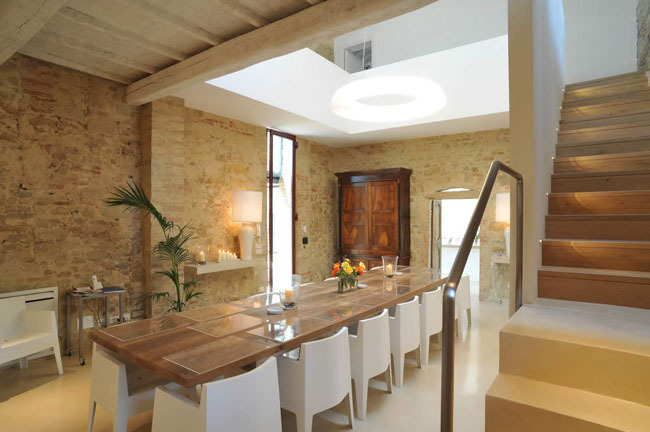 Il Vegetariano (Via delle Ruote 30r) – offers a great blend of traditional Tuscan offerings “revisited” and a contemporary cuisine with a personal flair. Brac (Via Vaggellai 18r) – a bookshop dedicated to modern art that has expanded to become a trendy dining venue with a vegetarian and vegan menu that varies based on seasonal produce. Il Sedano Allegro (Via Farini – on the corner of Piazza Sant’Ambrogio) – this stylish restaurant, located in an area bustling with restaurants, has been in business since 1990 offering excellent vegetarian cuisine. A Casa Mia (Piazza Ghiberti 5r) and Cuculia (Via dei Serragli 3r) – both offer a quality vegetarian selection. Dolce Vegan (Via San Gallo 92r) - is a bakery that also sells a variety of vegan foods and gourmet products. 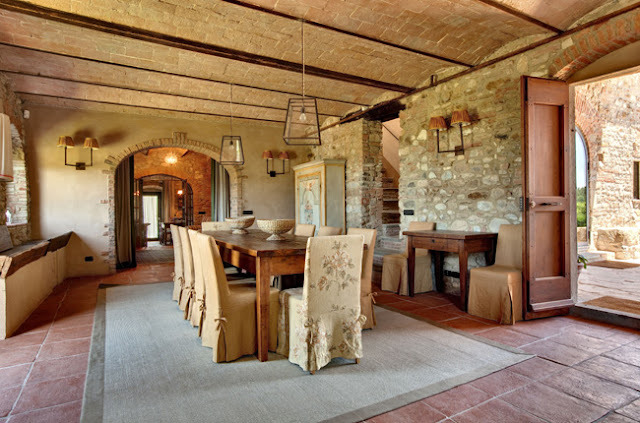 New Tuscan Experience offers personalized vacation planning services, villa rentals and custom itineraries designed to show you the most authentic aspects of Tuscany. 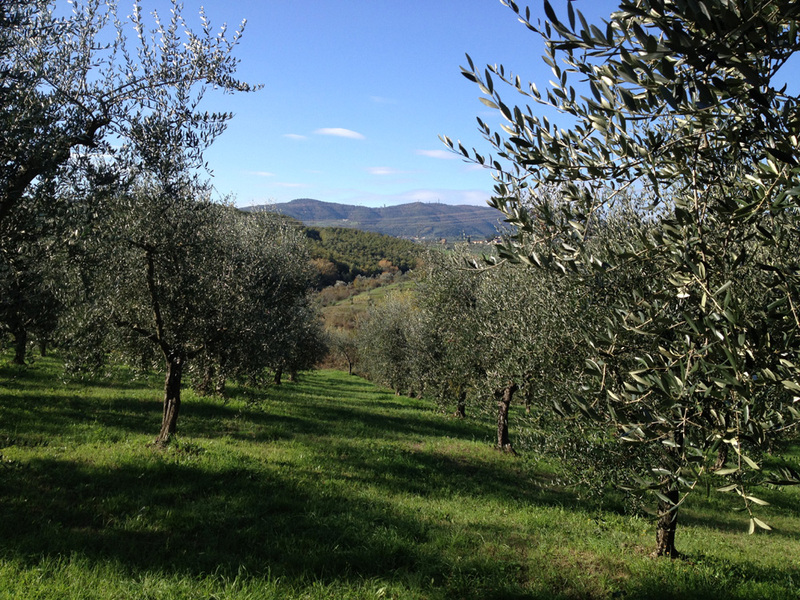 My name is Kathy Perunic and I am a native New Yorker who has been living in Tuscany since 1989. I created New Tuscan Experience to provide travelers with the opportunity to do what my friends and family have done for years – get an inside look at Italian life with the help of someone local to guide them. I have selected the best associates, vendors and venues to provide top-notch services and accommodations: luxurious private villas set in the breathtaking countryside; certified tour guides; qualified professionals such as chefs, sommeliers, drivers, housekeepers… When you plan your vacation with us, you will feel like you have friends in Tuscany - this is what sets us apart from others. We will provide the services you need and assist you from the first time you contact us until we say goodbye at the end of your visit. 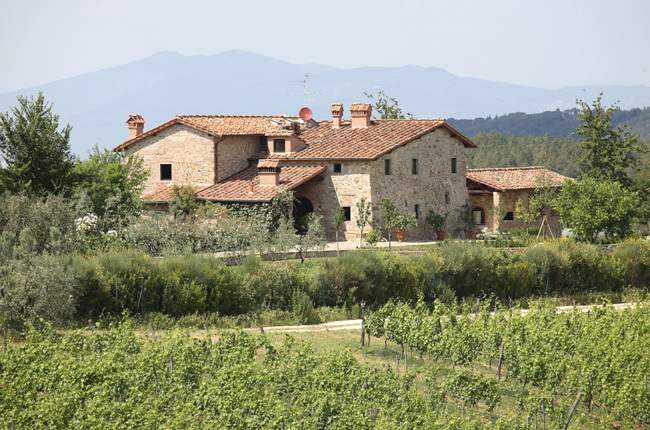 With us, your holiday begins long before you reach Tuscany since the process of organizing your trip will be completely stress-free. All posts on this blog are property of New Tuscan Experience and subject to copyright. Picture Window theme. Powered by Blogger.